In 2006, Mike Sule returned home to Asheville, North Carolina from a Portland bike tour feeling inspired to grow Asheville’s bicycle culture and encourage more people to ride. The following year, Sule gathered 25 bicyclists to ride in Asheville’s annual holiday parade. The costumed cyclists (including a Thanksgiving turkey and the tooth fairy) won awards for “Spirit of the Parade” and “Best Overall.” The resulting $250 in prize money launched Asheville on Bikes (AoB) as an informal advocacy group. 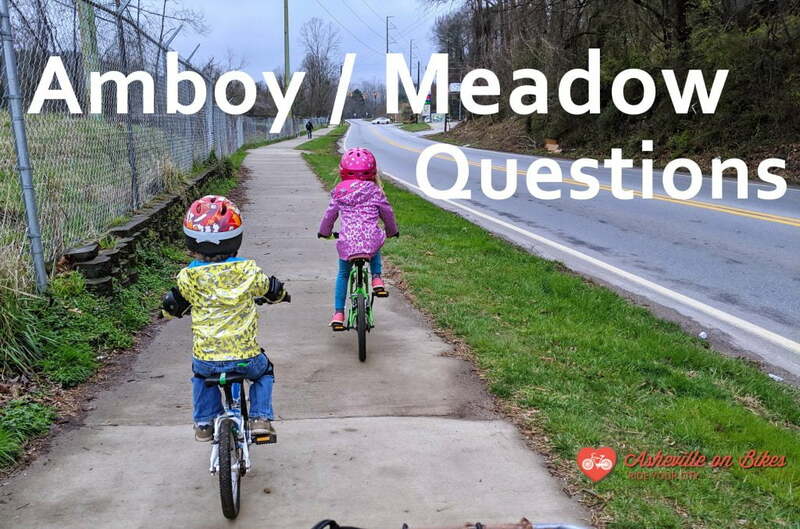 Subsequently, AoB backed a proposal to place rented bike lockers downtown (since installed), and launched community rides and annual events to build and celebrate Asheville’s cycling culture. The group began hosting a supervised bike parking corral at local festivals to encourage residents to arrive by bike. Sule continued building relationships with Claudia Nix, a longtime local bicycle advocate, and local governments, as Asheville on Bikes began to emphasize the need for better local bike and pedestrian infrastructure. In 2008, with support from Sule and AoB, the city adopted its Comprehensive Bike Plan, a network to enhance bicycle use. The group of friends and bicycle advocates continued to grow in size and expertise, garnering frequent media attention for its enthusiastic and efficient achievements in promoting bicycle culture and infrastructure. The group added a Board of Directors to oversee its advocacy efforts, local events, communications, and planned growth. Red heart-shaped stickers sporting a bicycle began appearing throughout Asheville. In 2013, the Western North Carolina Alliance became a fiscal sponsor of Asheville on Bikes and Mike Sule became its first full-time Director. In 2016 Asheville on Bikes became its own 501(c)(3). Join us today and help us continue the work of helping more people to ride and also helping our city build better multi-modal infrastructure!